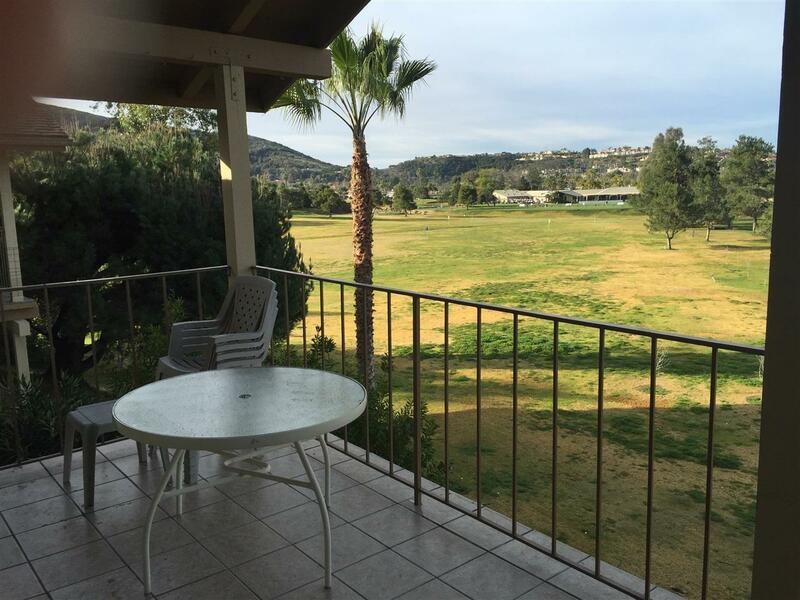 Highly Desirable 3 bedroom, 2 bath upstairs condo with a fabulous view of St. Marks golf course. Two patios front and back - every evening a sunset for your enjoyment! The seller has provided a new stove, microwave, furnace and dishwasher for the buyer. The location is the very best with just a short walk to the clubhouse, swimming pool, spa and tennis courts. Fairway Knolls is located in the center of Lake San Marcos. There is easy access to shopping and restaurants and 6 miles from the beach!